On average, a routine eye test usually takes 35 – 45 minutes and will be performed by one of our fully qualified Opticians. In the case of some patients, the eye test will take longer if additional advanced tests are required. 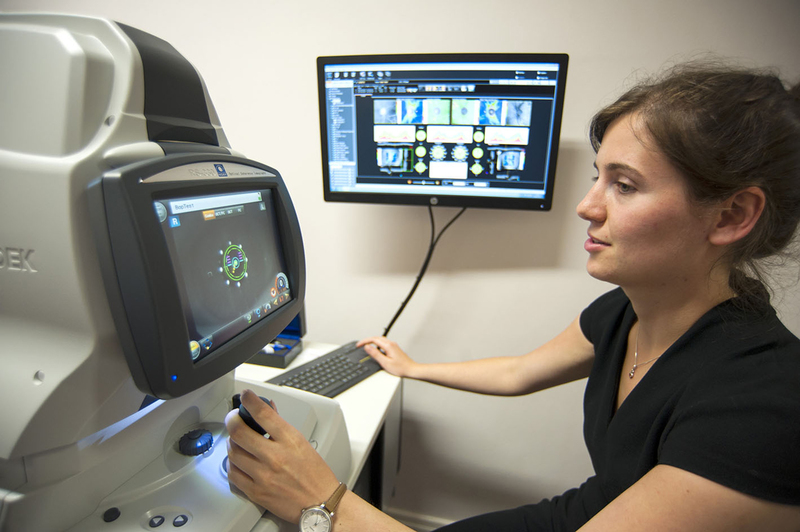 Each eye test consists of several stages looking at the health of the eyes and calculating the optimum visual correction. Finally, at the end of the eye test, we will explain our findings and give you a copy of your prescription, or a statement explaining whether or not you need spectacles. If appropriate, we will introduce you to one of our Dispensing Opticians who will discuss in detail, the best frames and lenses for you and help you with your choice, or discuss the contact lens options open to you. We hope you enjoy the experience of having your eyes tested.